What To Say When Your Boss Asks "Why Are We Spending So Much On Trade Shows?" 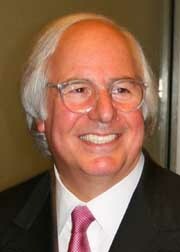 Frank Abagnale, Catch Me If You Can, to Keynote All New CPE Program and Free Show. NJCPA to Sponsor. Hot New CPE Program. NEW: Fraud Seminar - Tues, May 17. Register Online. Save Time and Money. Register to Attend the Free Show, Weds-Thurs in the Convenient Meadowlands. Free Parking. Low Cost Lunch Service. Free CPE Keynotes Each Morning from 8-9:40 am with Two Free CPE Credits. Free Accounting Show Featuring Tax, Accounting, Business, Finance, iPad and Cloud—Hot New Systems for CPA Practices. The Free Show will focus on new computer-savvy systems for CPA practices and client operations. A leading CPA last year said, "It's all about growing our CPA and client business. We have to be there." See new products for the first time in New Jersey. The low-cost conference offers CPE sessions at $45 per day, or $80 for 2 days of CPE. See, examine and meet the leading accounting, financial and business exhibitors at one time and in one place. Network with your peers at the largest meeting of CPAs in New Jersey with over 1,200 in attendance. Those who should attend include: New Jersey CPAs in public practice; CPAs in industry; tax preparers and financial advisors; clients and accounting professionals who are not CPAs; small business owners and users of accounting; corporate executives who manage accounting enterprise financial systems. See over 100 exhibitors including financial services, financial planning, business services, small business services, reference services. Low-cost luncheon service on the show floor. You do not have to leave the show to have lunch. The Show is free. Save time. Register online. The Conference is $45 per day or $80 for 2 days of CPE. Register online for the CPE conferences. 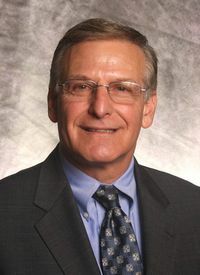 Nationally recognized speakers offer new information vital to practicing CPAs and their clients.